In the days of the very earliest transatlantic crossings, pilots pitted their wits against the elements; just them and their aircraft against a near endless expanse of sky and sea, with no radar coverage and no way of contacting help if things went wrong. Even now, with nothing to build radar stations on, it is impossible to track flights across the world’s oceans in real-time. Air traffic controllers instead rely on infrequent position reports made by on-board computers or by crew voice reports and flights are given very strict route and speed restrictions to keep them in the right place at the right time until they emerge on the other side of the ocean. But above the rough seas of the northern Atlantic, a revolution is coming; one that seems set to be the biggest transformation in air traffic management since the first introduction of radar over 70 years ago…. 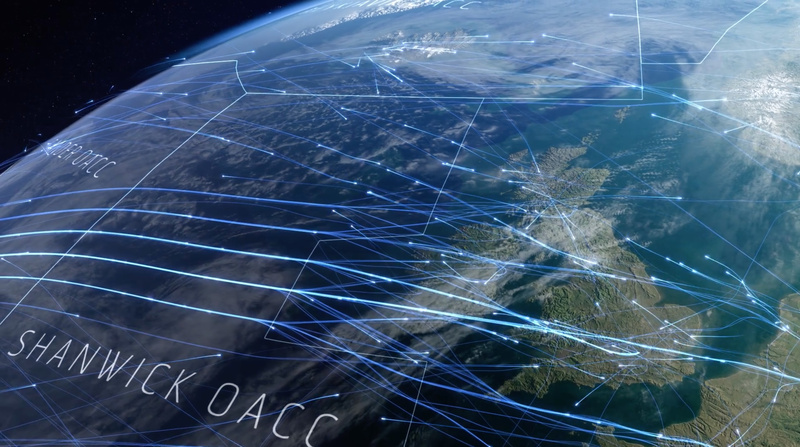 Known as the Shanwick oceanic control area, NATS – the UK air traffic service provider – together with the Irish Aviation Authority, manages everything over the North Atlantic up to 30 degrees west, with its Canadian counterpart, NAV CANADA, providing a similar service across the other half of the ocean. This corridor of airspace forms the gateway between North America and Europe. 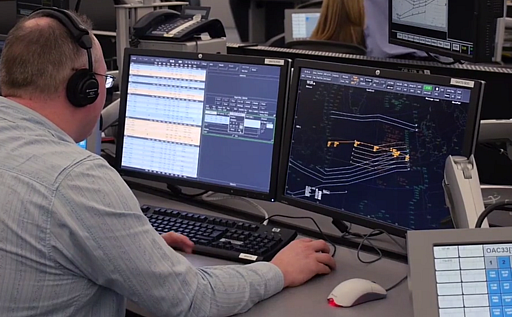 NATS handles a staggering 80% of all transatlantic traffic and as such, the performance of that oceanic service is not only absolutely essential to the smooth running of both Europe and the UK’s air traffic network, but also their wider economies. But unlike when aircraft fly over land, there is currently no real-time air traffic surveillance coverage. Land-based radar cannot provide surveillance over such a large expanse of water. This means aircraft routes and trajectories have to be planned hours in advance, creating what is known as the Organised Track Structure, which is set up to make the most of the jet stream. Progress of flights on these tracks is then monitored through periodic reports from the pilot or on board systems. For safety, aircraft in oceanic airspace are required to have larger degrees of vertical and horizontal separation between them of up to 40nm or more – versus radar controlled domestic airspace where this can be 5nm. This is because they don’t continuously know the exact aircraft position when beyond radar coverage. The greater separation and lack of instantaneous position reporting requires the more formal Organised Track Structure, which limits capacity, direct-routing and fuel efficiency of flights. But with North Atlantic traffic hitting record levels in 2017 at almost 500,000 flights, and with up to 800,000 flights forecast by 2030, this track structure has reached the limit of capacity; it cannot meet the future demand from the airlines safely without radical change. This requires a total transformation, one that is seeing the eyes of the industry look to space for the first time. 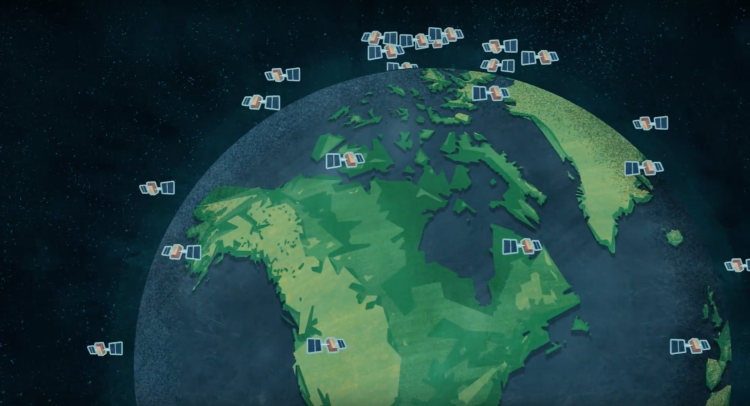 The advent of satellite air traffic surveillance – known as Space Based ADS-B, where aircraft positions are monitored in real-time by a network of orbiting satellites - offers an opportunity for NATS, NAV CANADA and the IAA to totally revolutionise the North Atlantic operation. Using this data provides instantaneous updates on flight progress and in doing so, can deliver a quantum leap in capacity and service performance, making flying safer, cheaper, greener and more predictable. Not only does it allow for an increase in capacity, it allows shorter notice changes to flight planning, the use of more efficient routes, flight levels and variable speeds, all of which translates into fuel and emissions savings. This revolutionary change is being made possible thanks to Aireon. Based in Washington DC, the company is made up of a coalition of leading air traffic service providers – NAV CANADA, ENAV, Naviair and the IAA - and the satellite communication company, Iridium. 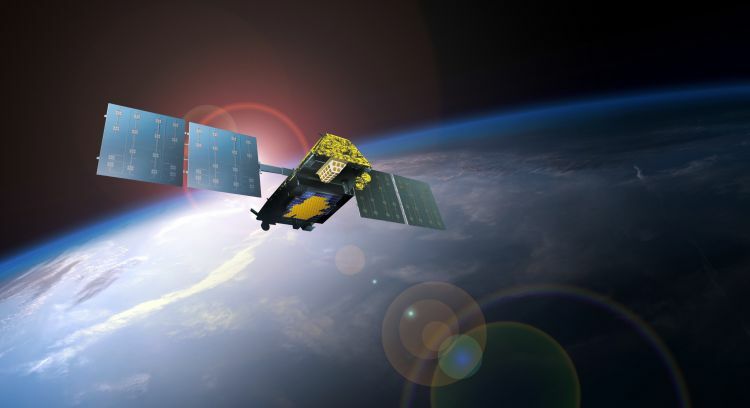 Through Iridium’s network of 66 orbiting satellites, called Iridium NEXT, Aireon can monitor the location of aircraft flying anywhere in the world, for the first time in the history of manned flight. And with the last of the satellite constellation set to launch in late 2018, NATS is currently consulting with its airline customers about how best to use Aireon to safely deliver increased capacity over the North Atlantic while also delivering fuel and emissions savings. And while it might start with the North Atlantic, it seems certain that this space-based revolution will change everything we think we know about air traffic management. Providing global aircraft surveillance for the first time is a transformation in and of itself, but it also opens the opportunity for air traffic service providers to move away from costly ground-based radar infrastructure and towards a much more flexible service-based model where data is bought in as it’s needed. And once you have that data, the new operational insights that could then be possible thanks to having a truly global view of air traffic flows are incredibly exciting. The safety benefits of SB ADS-B are so strong; it would arguably be remiss of NATS not to be pushing to implement it. Satellite surveillance will alert our controllers in seconds, rather than minutes, when aircraft change level or route without our clearance. This will enable quick intervention to assure separation and, in some cases, to prevent a potential incident. Analysis jointly undertaken by NATS and NAV CANADA, endorsed by the International Civil Aviation Organization (ICAO), projects an approximate 76% reduction in safety risk. The North Atlantic is now reaching full capacity, with delays and capacity restrictions the inevitable result without radical change. 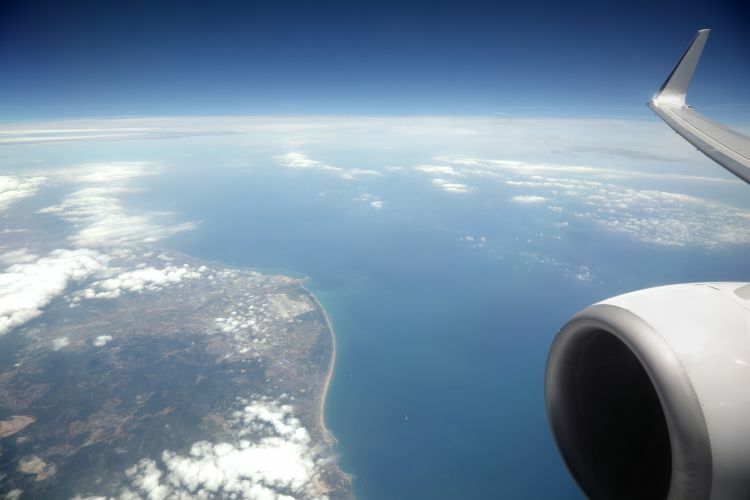 By using satellite surveillance, it will be possible to safely reduce the minimum distances between aircraft, optimising flight paths and adding capacity to handle the forecast traffic growth. NATS expects that around 90% of flights across the North Atlantic will be allocated the flight trajectory they request, compared with around 60% today. In addition, around 80% of traffic will be able to fly without speed restriction, compared with the fixed speed environment operated today. 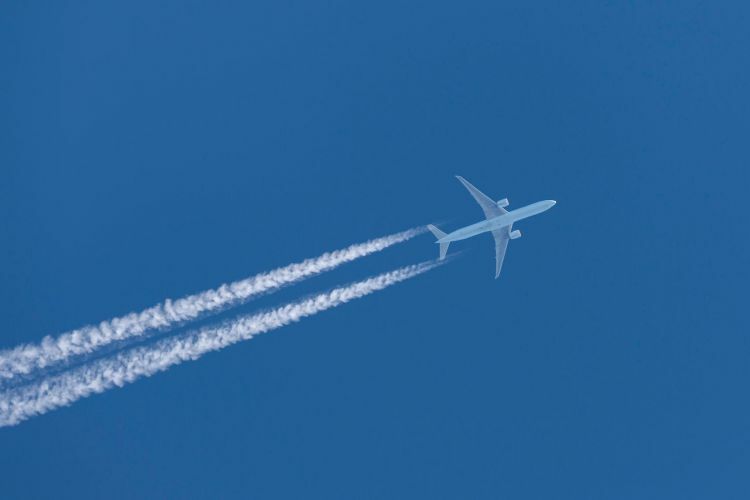 Providing airlines with their requested and most efficient flight trajectories and allowing them to fly without speed restrictions correlates directly with fuel savings for airlines and emissions savings for the industry. By increasing flight efficiency, the introduction of space-based ADS-B will reduce airlines’ fuel burn and CO2 emissions. Based on current fuel price of USD$650 per tonne, NATS and ICAO estimates savings, after the cost of the Aireon data, of between $153 and $312 for a full North Atlantic flight. This represents a gross saving of between 406kg and 649kg of fuel, equivalent to around 1290kg to 2060kg of CO2 emissions per flight, or at least 1 million tonnes of CO2 a year by 2030 based on current traffic forecasts. Find out more about Aireon and the concept of Satellite Based ADS-B on the Aireon website.